Moving Head LED GOBO Projector - comes with 4 changeable Gobos: Christmas, Snowflakes. Halloween and Hearts. 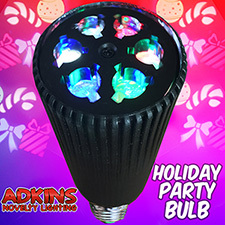 Great for holiday parties & holiday decorations. Patterns rotate and have 4 different colors. 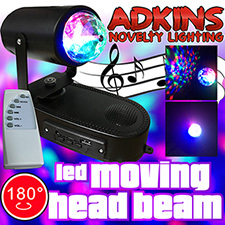 - Adkins Novelty Lighting. 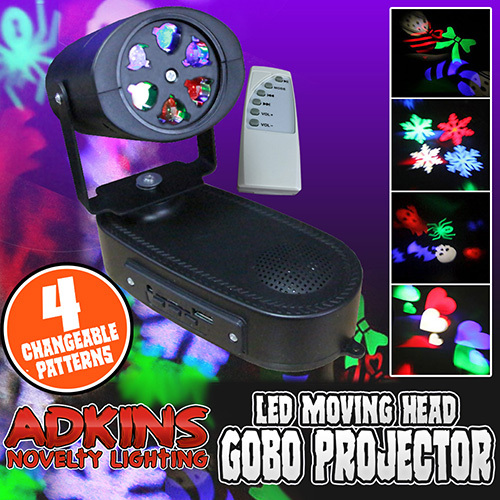 Comes with 4 interchangeable gobo pattern discs: Christmas, Halloween, Snowflakes and Valentines Day. 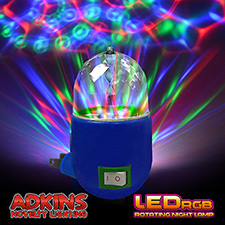 Great fun for a kids bedroom. 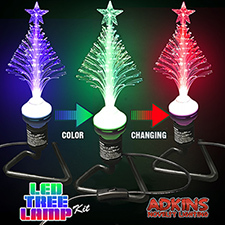 Plugs into a standard house wall outlet. 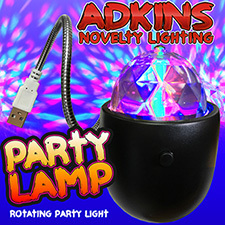 Plays music from USB drive and includes a remote control and a built in Speaker. Patterns rotate and have 4 different colors. 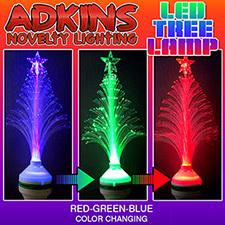 - Adkins Novelty Lighting. 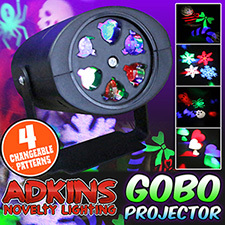 Comes with 4 interchangeable gobo pattern discs: Christmas, Halloween, Snowflakes and Valentines Day. 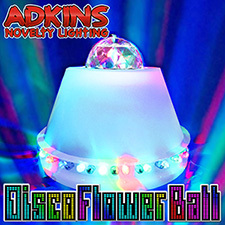 Great fun for a kids bedroom. Plugs into a standard house wall outlet.